Price Drop to sell: Owner Welcomes all offers! Great opportunity to live in Paradise at University Park in the premier Heathfield neighborhood. 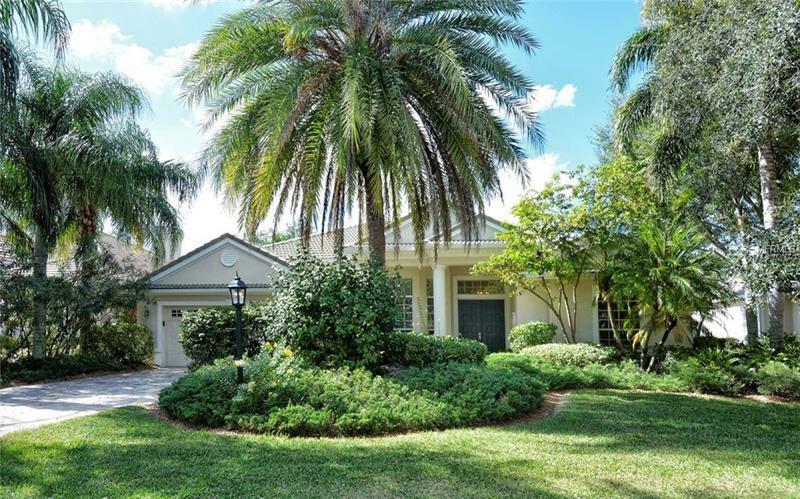 There is a spectacular lake view as you approach your home's double door entry; as you enter there is a stunning view of the pool, spa and 26th hole of this championship golf course. This Todd Johnston custom built home features a large main dining & living area perfect for formal or casual entertaining. The fully modern designed kitchen has a large walk-in pantry, an eat-in breakfast area that gives a delightful magical view of the pool & beautifully landscaped grounds. There is a separate laundry & utility room with custom cabinets for additional storage. The spacious 2 car garage also has a wonderful very large air-conditioned closet for additional storage. The spacious master suite offers plenty of storage in the 2 custom walk in closets. The master bath has a walk in shower, soaking tub, dual sinks with a private water closet. The 2 guest rooms each have their own private bath. The study is designed with beautiful custom cabinetry. There are 2 separate covered lanais, one is for enjoying the heated pool and spa while the second lanai is an outdoor kitchen for grilling and dining. New gas water heater, gas pool heater, refrigerator & washing machine. High tray ceilings, brick paver driveway, & intercom. University Park offers 27 holes of championship golf, fitness center, har-true tennis courts, club house. CALL TODAY for an amazing price & lifestyle.